A magnificent Hopewell cache in Cowan’s Auctions’ Ancient Art of the Eastern Woodlands auction sold on Bidsquare for $162,000. 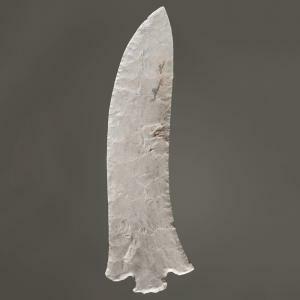 One of the most significant assemblages of Hopewell Culture prehistoric art more than doubled its high estimate selling for $162,000 on bidsquare.com. NEW YORK, N.Y., UNITED STATES, August 6, 2018 /EINPresswire.com/ — NEW YORK, NY — One of the most significant assemblages of Hopewell Culture prehistoric art ever collected more than doubled its high estimate selling for $162,000 on bidsquare.com during Cowan's Auctions' Part I of the Collection of Art Gerber: Ancient Art of the Eastern Woodlands auction. The cache was one of 382 lots offered in the July 28, 2018 auction from the estate of famed collector Art Gerber. Gerber was a giant in the prehistoric artifact world and collectors gathered to get a glimpse at a portion of the legendary collection and vie for the chance to take home a piece of history. Next Next post: விடுதலைப்புலிகளின் தமிழீழக் கொள்கை எங்கும் தடை செய்யப்படவில்லை : பிரதமர் வி.உருத்திரகுமாரன் !